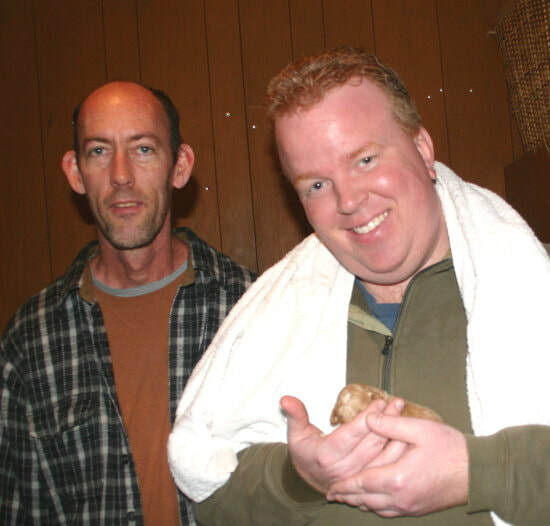 Were these previously "Good Friends" of Beverley's who also slept in her home, ate her food and bought not one, but four puppies over years, tempted to sacrifice integrity on the altar of financial gain? 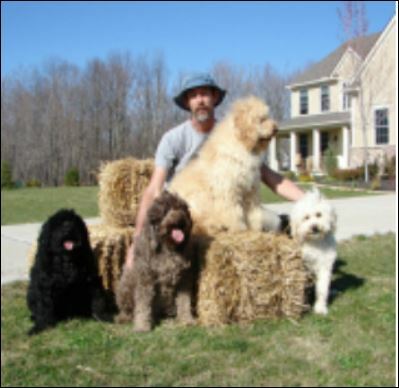 <<<< Kemp Rader of the Country Doodle Store with his and Tom Higgins' four dogs they purchased as puppies from Rutland Manor. Their storefront once shared a link to RM with glowing reports about their dogs. ​But once the heist was completed the link was removed and a statement replaced it saying that their four dogs were "rescues"
'Why We Support Rutland Manor' was a website launched and contributed to by Kate Pappas and her friend Twyla Pyles (they call themselves 'bosom buddies') during their several weeks long stay at Rutland Manor Labradoodle Breeding and Research Centre in Australia. They updated the website (see screenshots below) with what they were experiencing daily at Rutland Manor. 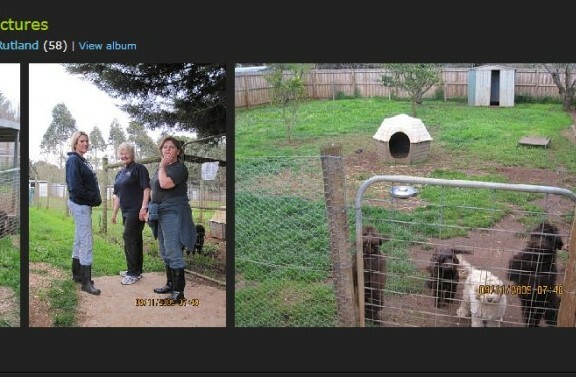 AFTER Beverley Manners' 22 valuable breeding dogs were allegedly heisted from her by these two women, the website was suddenly and without warning shut down by either Pappas or Pyles. 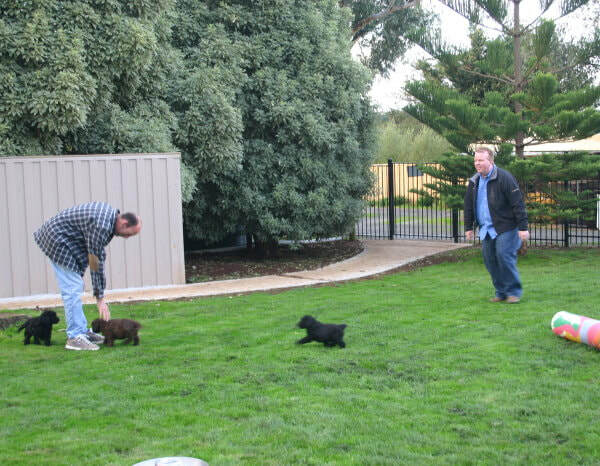 The following screenshots are of just some of the glowing reports from both Kate Pappas and Twyla Pyles about what they saw and experienced while staying as guests at the Rutland Manor Labradoodle Breeding and Research Center in Australia. 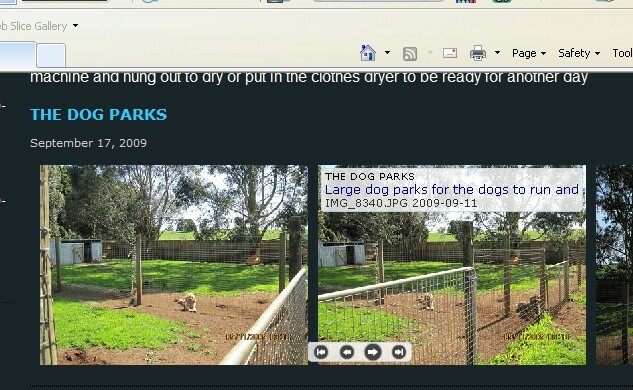 It is believed that Pappas and Pyles put this website up in order to gain Beverley Manners' trust so that she would send her twenty two breeding dogs on a six year lease to Pyles in Texas. As part of the lease agreement Beverley flew to Texas to stay with the Pyles for three months and to mentor them on breeding dogs. 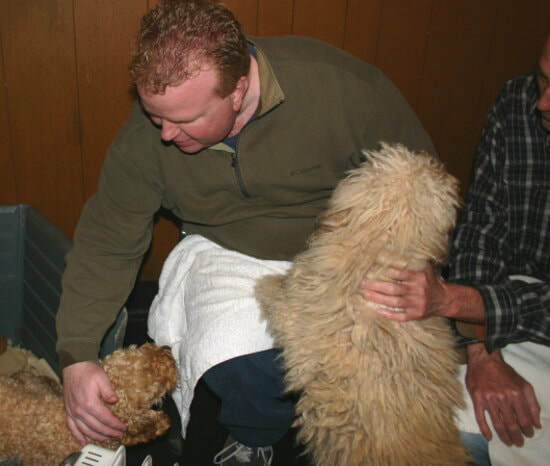 When she refused to sign over her dogs to them immediately after she had paid them approximately $30,000 in the lease requirement commissions on puppies sold and only 2 weeks prior to Beverley's visa expiring she was thrown out late at night and left at the Country Inn motel in Dallas at 10.30pm. Her texts and phone messages were not replied to. Beverley was served at the Motel with a legal paper telling her that by Texan Law she had abandoned her dogs, which were now the property of the Pyles. A ransom note followed, but there was no time and no money to follow the "aggressive" legal action recommended by Beverley's Texan lawyer. As soon as Beverley Manners was safely out of the United States and back home in Australia, the supportive website put up by Twyla Pyles and Kate Pappas was pulled down. 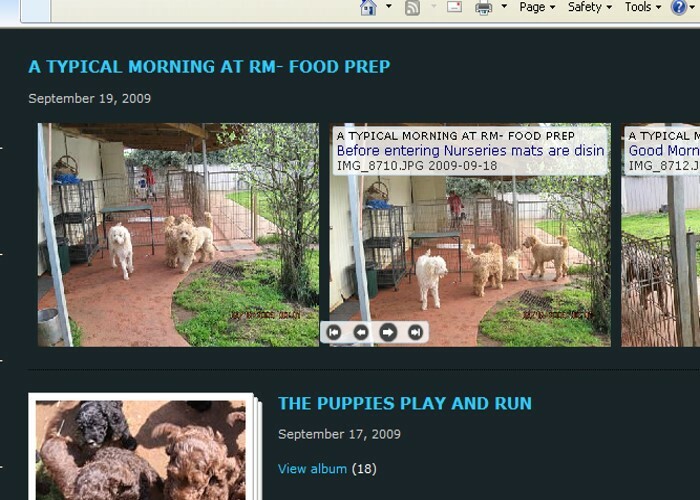 In the screenshots below, Kate Pappas descrbes her unfettered access to every part of the Rutland Manor property and the excellent daily care of the Australian Labradoodles and their puppies - all statements that she publicly repudiated once the theft of Ms Manners' breeding dogs was completed and they were in the possession of her 'bosom buddy' Twyla Pyles and her husband Mike Pyles in Texas. 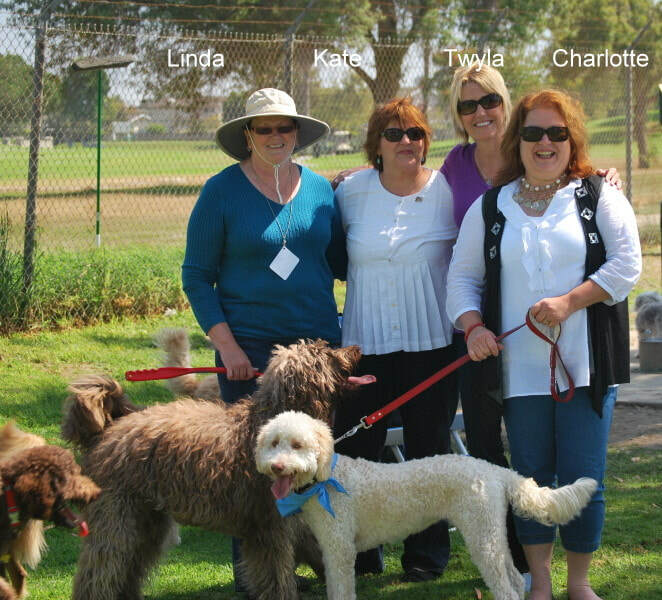 About three weeks after Beverley's visa expired and she had returned to Australia, photos were published on the internet, of Charlotte McGrath, of Tamaruke Kennels in Australia meeting up in California with Twyla who had flown from Texas to California for the meeting, and with Kate Pappas and Linda Crawford Scott of California. 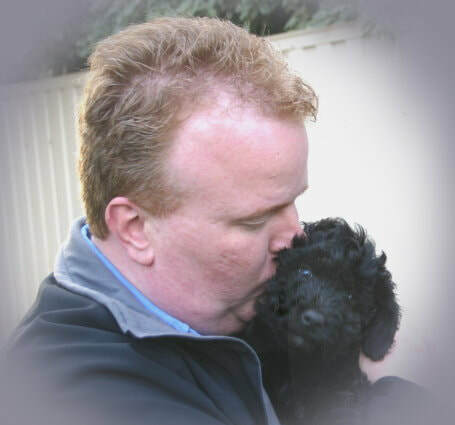 The purpose of the meeting and photo was to announce a new Australian Labradoodle breeding partnership between Tamaruke and the Pyles to be operated on Mike andTwyla's Texas property. ​Co-incidental to the theft of Beverley Manners' 22 Rutlands breeding dogs? Some Screen shots of "WHY WE SUPPORT RUTLAND MANOR"
Screenshots of photos posted by Kate Pappas, on the "Why We Support Rutland Manor" website. Immediately the dog heist in Texas was accomplished the website was pulled down and contradictory reports published by Kate Pappas on the internet. Reports on the internet later said the Rutlands dogs lived their lives locked in dungeons, never saw sunlight and never felt grass under their paws.